During your stay in Durban, you might want to pay a visit to one of the holiday towns, or maybe get know the beautiful beaches at the Dolphin Coast, which is a little further away from the City Centre. Though, you will worry about the time if you need to catch the last bus of the day or wait readily for a taxi. Or even, how about having a first taste of driving in a country that drives on the left side of the road. In these occasions, the best option is to rent a car and have full autonomy over your schedule. In South Africa, a good and reliable option would be First Car Rental. This is a South African brand which is why it may not be familiar to foreigners, though with the Sixt partnership, should put travelers at ease. First Car Rental has been in the car hire industry for years now and in that time, have fined tuned their services towards the South African market. They understand the needs of visitors to Durban and cater products and services to meet these specific demands. Your First Car Rental in Durban might arise many questions. Do I need some document to drive abroad if I am a foreigner tourist? And what if I have some problems with the car? Here on our site you can book your First Car Rental in Durban following some easy steps, our website caters for everything you need. Booking the rental of a car before you start your trip is a great way to get the lowest prices. Another advantage is to ensure the type of car you want, as the demand will be high during the holidays, the high season and long weekends and the lower priced vehicles will likely be taken up faster. Here on our site you can book your First Car Rental in Durban comparing the prices offered by each company and even purchase a combo with your First Car Rental in Durban including tickets with airlines, hotels, credit cards and insurance companies. Booking online also offers the benefit of being over and done with it within minutes. Regular renters can be done in seconds. 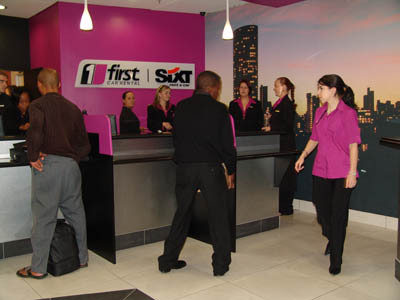 As most of the information required from drivers is handled during the online booking process, the time spent at the First Car Rental Durban branch is minimized. Of course, visitors who are on a last minute emergency trip to the city are also able to pitch up to the First Car Rental Durban branch and hire a vehicle directly with consultants. Every product and service offered at the branch is offered through the online portal. In South Africa the minimum age required to drive a car is 18 years. To hire a car at First Car Rental Durban, the Driver’s License must have been issued at least 2 years ago. Foreigners wishing to hire a vehicle in South Africa must apply for an International Driving Permit in their home country and present this at the First Car Rental Durban branch, and not a normal Drivers License. First Car Rental only accepts credit cards as a form of payment. The credit card will need to belong to the person renting the vehicle. This person will also be considered the main driver and the only person allowed to drive the rental vehicle. An additional driver may be added, as needed. The vehicle range- Vehicles in the First Car Rental Durban range can be classified according to being budget, passenger or executive. 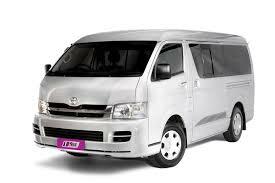 Vehicles in the budget group would be for the price conscious traveller. Passenger vehicles offer added space which can be utilized for stuff or extra seating for more people. Executive vehicles provide the element of luxury. The additional hire items- these include waivers for tyres and the windscreens. An additional driver may be selected. A GPS unit may also be added to the hire along with child seats. There are 3 types of seats available at First Car Rental Durban to fit either infants, toddlers or older kiddies. It is important to select the right one. A maximum of 2 child seats can be selected per rental. Direct transfers-A direct transfer would be transport from one point to another. This could be from the airport to the hotel or from an entertainment venue back to the hotel. Direct transfers are available in all major cities in South Africa, including Durban. Long term car hire- Long term car hire at First Car Rental Durban has the benefit of cheaper daily rental rates. This lower rate applies to any vehicle in the fleet, but is only an option if the car will be rented for over a month. Show and go- The Show and Go is available at all major airports in the country and this includes the King Shaka International Airport. Customers who have a Show and Go account would simply pitch up to the First Car Rental Durban parking lot, swipe their account card at the mobile counter, get their keys and be off. No need to even enter the offices. Cristil-The Cristil portal on the First Car Rental website allows all customers to request for their invoice to be emailed to them or to simply submit a complaint or praise, on services rendered. It can also be used to follow up on a query already submitted. Buy a First Car Rental Durban vehicle- At First Car Rental Durban, customers have access to only the newer models of vehicles. Once vehicles are around 24 months of age, on average, they are removed from the rental fleet. 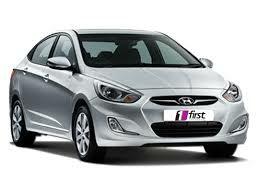 These vehicles then enter the vehicle sales division of First Car Rental. Vehicles for sale can be viewed online. The company offers great after sales service and buyers would get a vehicle that has been constantly maintained since it was initially purchased.